Elevate your evening wardrobe with this pretty dress. 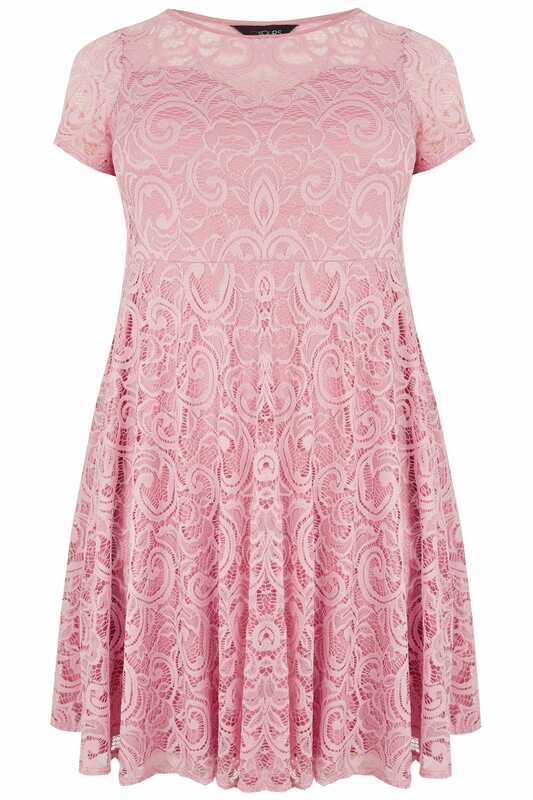 Boasting an all-over lace design, it is cut to a midi length and offers a shape flattering skater style silhouette. Team with a pair of your favourite heels for an effortless after-dark look. 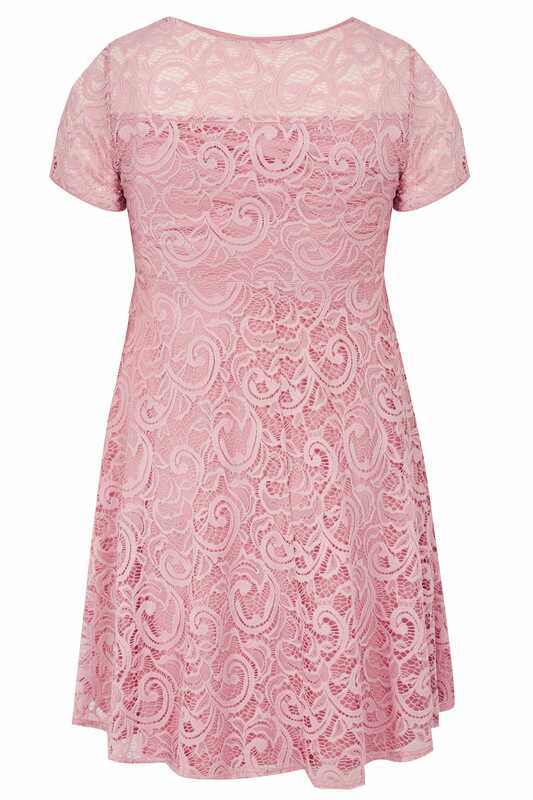 The perfect evening option, we are loving its timeless lace design in pink!